Popchips’ nutter puffs x Art of Elysium: Spreading holiday cheer! Disclaimer: This post is sponsored by BabbleBoxx.com on behalf of popchips. All opinions are my own. Raise your hand if you’re a popchips fan (*flails hands all over the place*). For some time, I’ve been a huge fan of these healthy snacks. Hold on to your seats, they’ve gone nuts! 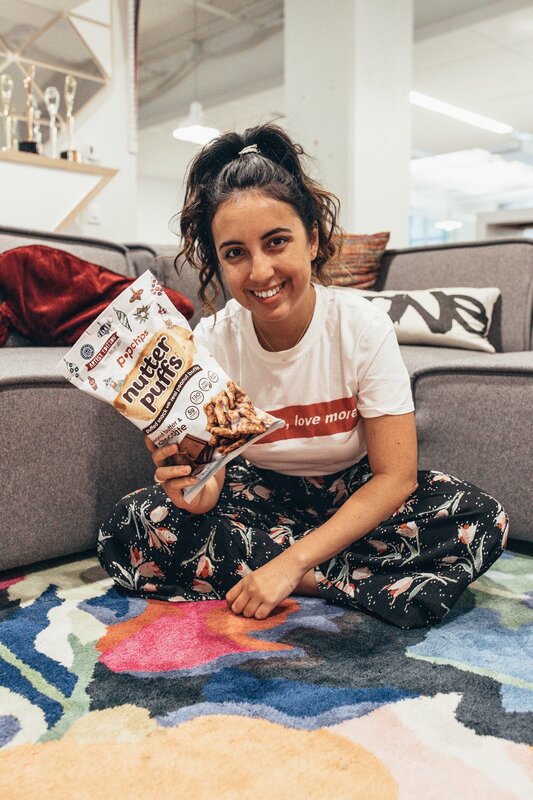 For peanut butter enthusiasts far and wide, popchips has taken everything you love about peanut butter and packed it into one perfectly snackable puff: nutter puffs! Peanut butter nutter puffs are a symphony of salty-sweet memories born from a shared love of this popular spread, made with real ingredients. Flavors include plain ol’ peanut butter and peanut butter & chocolate – which I can totally get behind! In the spirit of the holidays, popchips nutter puffs are styling limited-edition packaging available at select retailers. This cheerful look is in partnership with The Art of Elysium, an artist organization built on the idea that through service, art becomes a catalyst for social change. What’s in it for you? A Spread the Cheer sweeps where popchips nutter puffs are giving away $1,000 to five winners to use toward holiday shopping, and they’ll donate an extra $1,000 to The Art of Elysium on behalf of each winner. To enter, visit www.nutterpuffs.com. This crave-worthy snack is doing their part to spread the giving spirit this holiday season, how will you? To learn more follow @nutterpuffs on Instagram.